In the early 20th century, nationalist fervour swept the Indian subcontinent. 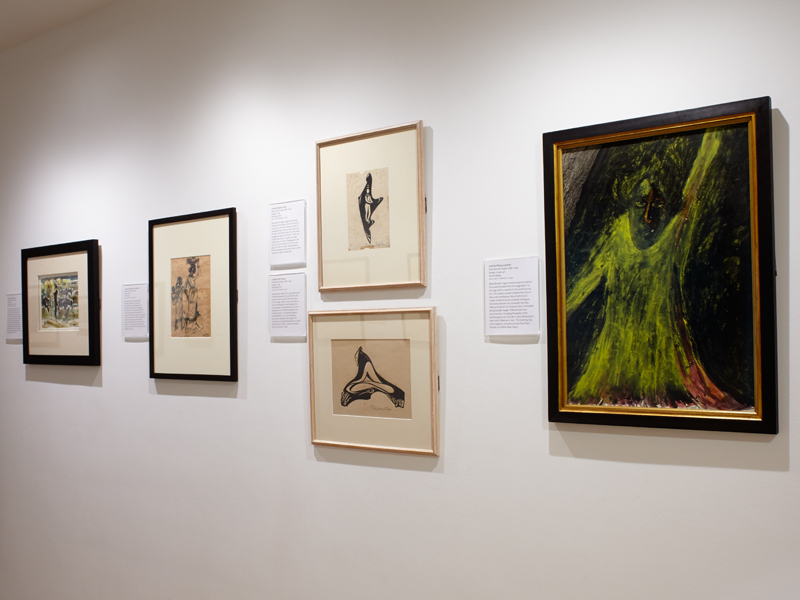 In Bengal, several artists focused on revitalizing Indian cultural history and spirituality, deliberately turning away from academic expressions of realism practiced in the various British art schools in India. United by mutual artistic interests, these artists found new ways of expressing anti-colonial resistance. Some of them were inspired by the spirit of Asian universalism and looked for inspiration in the arts of East Asia expressed through the revival of indigenous techniques and materials. While yet others celebrated creative freedom drawing on various European art movements. 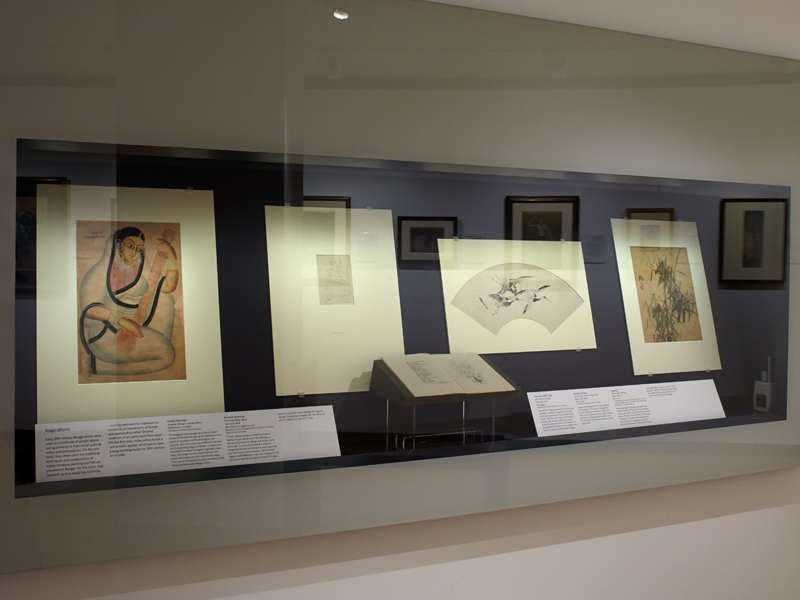 In 1922, an exhibition in the city of Calcutta displayed works of several Indians alongside works by Bauhaus artists. 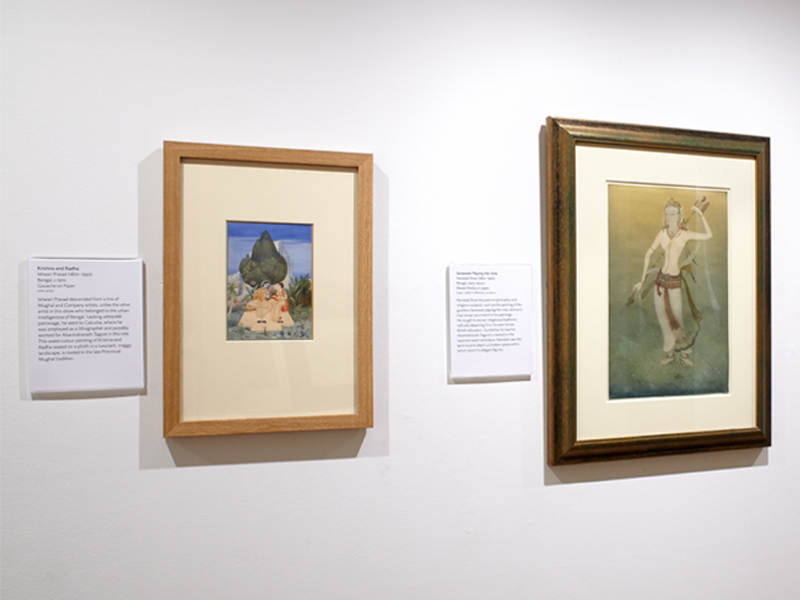 The deep interest in emerging idioms of 'Modernity' shown by artists in Bengal had a significant impact on art in 20th century India. 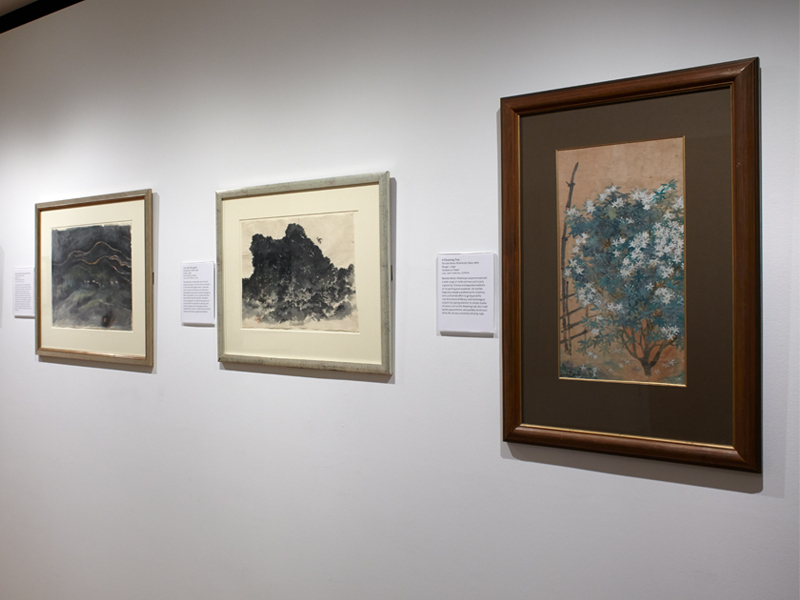 The Museum is grateful to the Lahiri Collection for lending most works on display in this show. 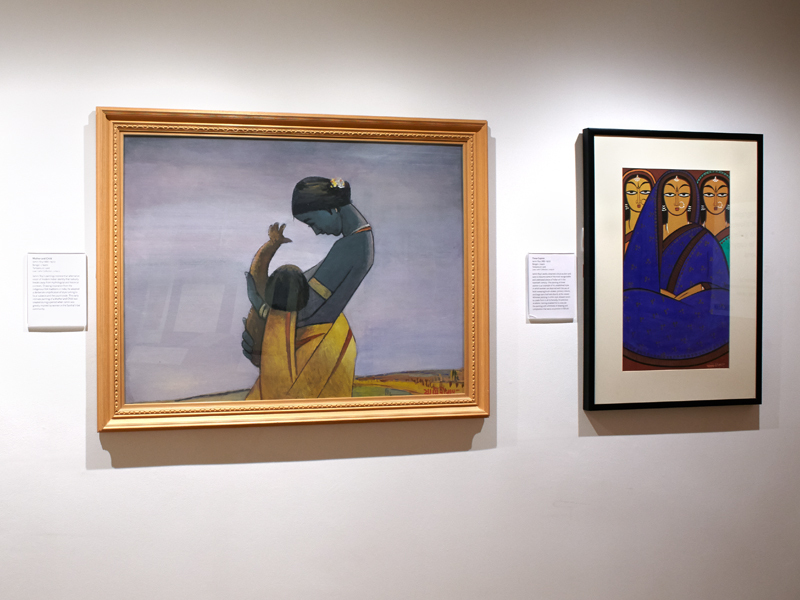 Bengal and Modernity: Early 20th Century Art in India was on display in the Eastern Art Paintings Gallery from 3 March until 31 May 2015. Eastern Art Paintings Gallery - Bengal and Modernity exhibition, panel and east wall. Eastern Art Paintings Gallery - Bengal and Modernity exhibition, east wall. Eastern Art Paintings Gallery - Bengal and Modernity exhibition, east wall 2. Eastern Art Paintings Gallery - Bengal and Modernity exhibition, south wall. 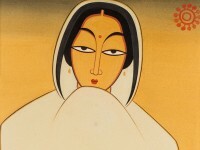 Eastern Art Paintings Gallery - Bengal and Modernity exhibition, vitrine. 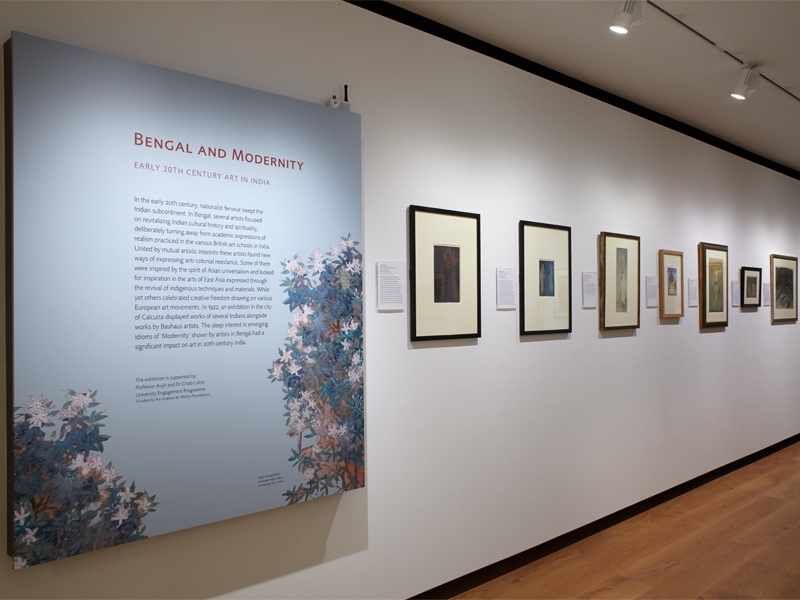 Eastern Art Paintings Gallery - Bengal and Modernity exhibition, west wall.